It's hard to imagine Larian Studios, the Belgian studio behind Divinity, predicting the success they would find with Divinity: Original Sin but, with another successful Kickstarter under its belt, it's clear that fans want more. 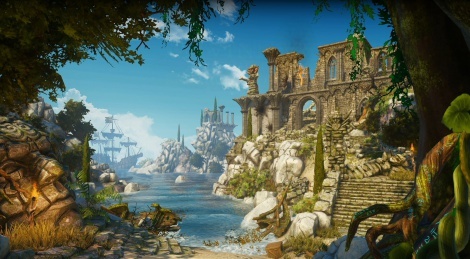 The acquired funds for the latest Kickstarter exceed what is required and, as a result, the team has been able to pour additional work into the original game. The result? 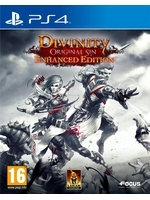 Divinity: Original Sin Enhanced Edition. The Enhanced Edition is a free update available for owners of the original game on PC, but that's not all; after completely reworking the interface for a controller, the studio is ready to unleash a rich turn-based RPG on PlayStation 4 and Xbox One. It's a game we encourage all fans of the genre to check out. I'm going to give this a try tonight. Though with Fallout 4 coming in two weeks won't get enough time for this. Already play the non EE like for 50 hours. Really good game that console players should give it a try. Loved their previous non-turn based games, this does nothing for me sadly. I played a lot of the original version and just got a buddy onto the game. We've been playing coop and it reminded me of the rough edges of the first release. This feels a lot better and I am really enjoying the changes so far. Heck I'm just glad to get less hitchy performance and a decent camera. The controller support is pretty good but it's not the most intuitive. Had a lot of very brief and minor fumbles with the controls but other than grouped AI not having the brains to avoid the acid/fire you just walked near it's pretty nice to be able to just sit back and relax with the game when you're noodling around trying to find some smelly undergarments.